When I was in third grade, my Dad gave me my first career advice. I had to write a paragraph about what I want to be when I grow up. I had no clue what to write. I vividly remember him sitting down with me, asking me about activities that I enjoy doing and finally saying: You choose something that makes you happy and you will be excellent at it. Every time we went to the bakery together to get fresh breakfast rolls, we shared a “Berliner”, a jam-filled donut on our way home. It was our well-kept secret. When I introduced my first boyfriend to him, Dad was very polite and welcoming. Yet,he gave that poor boy that stare that only Dads can do. The “if you break her heart, I break your legs”-stare. It made me feel very protected. 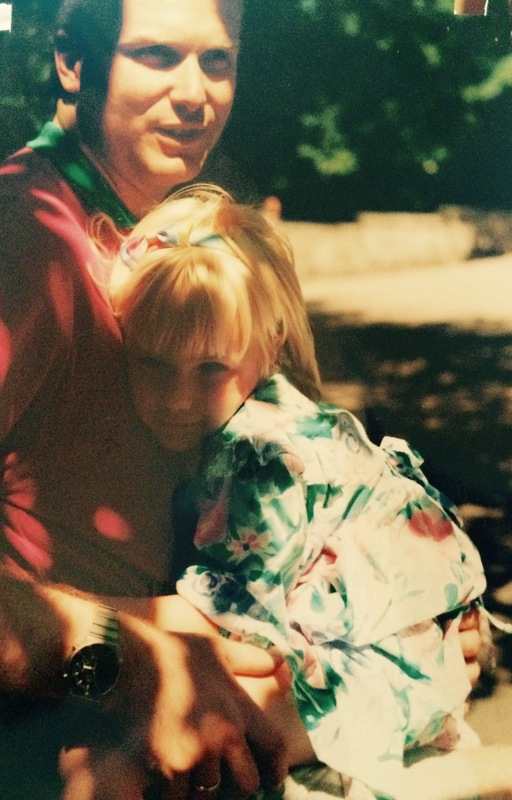 When I had my first skiing accident, my Dad climbed up that steep Austrian ski slope to be there for me. When we were buying new ski boots for me this winter, I was trying on racing boots. The shop owner, an elderly Austrian all mountain guy, said to my Dad that these boots require a lot of strength and he would not recommend them to women. My Dad looked at him, smiling and replied: Well, you do not know my daughter. This is my third year living in the United States and we do not see eachother often. I miss my Dad a lot and I know he misses me. Never, though, has he asked me to not do something, to not go places if I wanted to do it. His parental love is unconditional and I can only thank him for that. Today is Father’s Day in Germany. Actually, it is a national holiday called “Christi Himmelfahrt” (Ascension of Christ), which is broadly recognized as Father’s Day. If you were taking a walk through the fields in Germany today, you could see hordes of men, pulling a child’s wagon filled with beer, celebrating father’s day. This entry was posted in English Version, Neues von Tooi and tagged Alltagsgeschichten, Deutschland / Germany, Family by franziskaschwarzmann. Bookmark the permalink.